Thousands of individuals and families need help in local communities all across Dublin, Kildare and Wicklow. 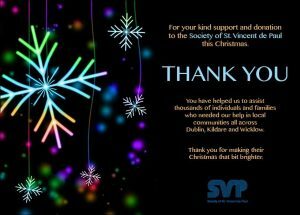 We are pleased to do our part in the Giving Tree and Food Appeal campaign by the Society of St Vincent de Paul. Hope it helps make Christmas a little bit brighter.